The French Revolution was a popular revolt characterized by the fact that people overthrew the monarchy and took control of the government. This event marks the beginning of the contemporary society. The French Revolution took place from 1789 to 1799. 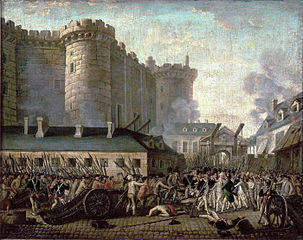 It began on July 14, 1789 when revolutionaries stormed the prison of Le Bastille. The revolution ended 1799 when a Napoleon Bonaparte overthrew the revolutionary government and established the French Consulate . The First Estate included the church leaders or clergy. The nobility was included in the Second Estate. The Third Estate was formed by the rest of the society and they paid the higher taxes while the nobility and the clergy lived in luxury. What was the Reign of Terror like? The bloodiest period of the French Revolution was the Reign of Terror from 1793 to 1794. Robespierre led the National Convention and the Committee of Public Safety. He wanted to terminate with any opposition to the revolution, so he called for a rule of “Terror.” Therefore, everybody suspected of treason could be arrested and executed by guillotine. 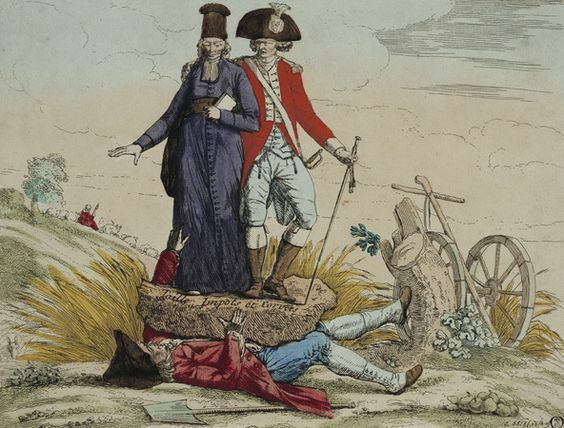 Thousands of people were executed including Queen Marie Antoinette, and many of Robespierre’s political rivals. What were the main consequences of the French Revolution? The French Revolution changed France radically. It put an end to the Ancien Regime society, the French monarchy and the power of the Catholic church. It spread new ideas such as liberty and freedom for the commoner as well as the abolishment of slavery and the rights of women. Although the revolution ended with the rise of Napoleon, the ideas and reforms survided. These new ideas continued to influence Europe and helped to shape many of Europe’s present governments.